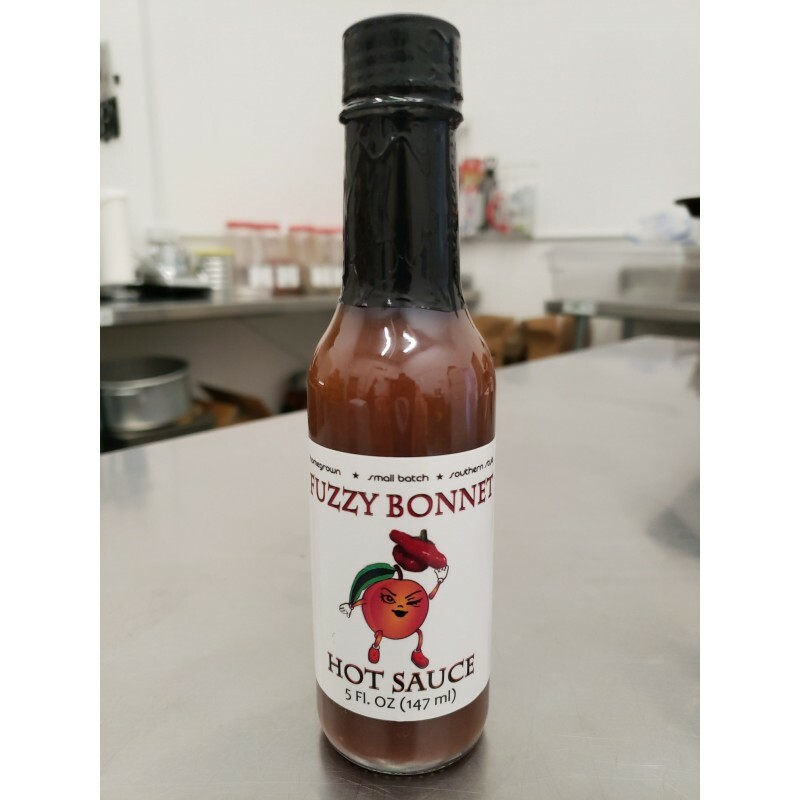 If you like peaches and Scotch Bonnet peppers, you'll fall in love with this hot sauce! With a hint of ginger and allspice, it's a Caribbean party in your mouth. 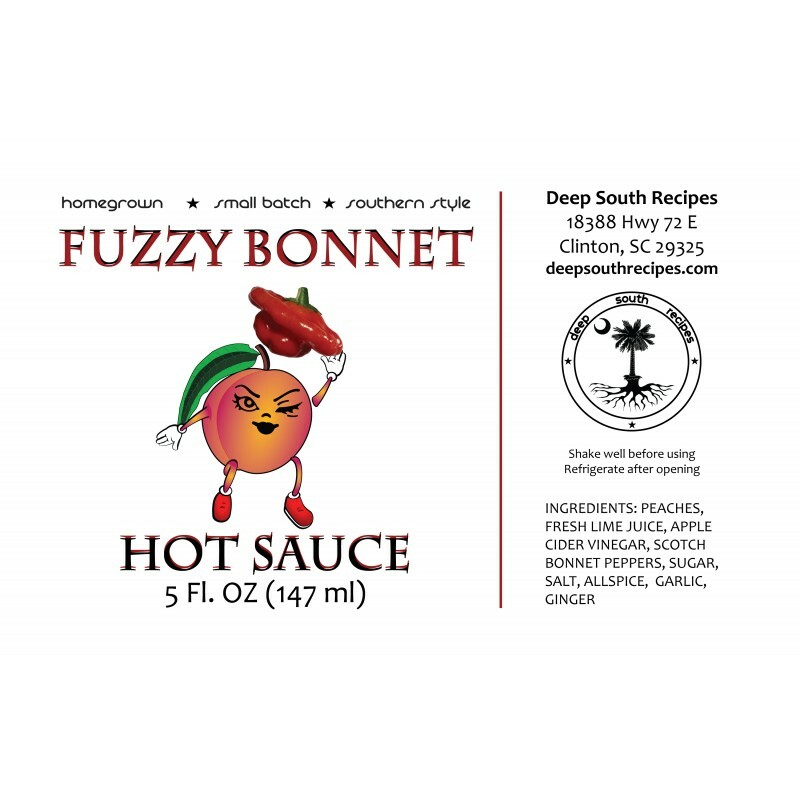 Grown with local South Carolina peaches and our hydroponically grown Scotch Bonnet peppers. We take precautions to protect your information. When you submit sensitive information via our website, your information is protected both online and offline. Wherever we collect sensitive information (such as credit card data), that information is encrypted and transmitted securely. Items are shipped and typically arrive in 2-5 business days. We currently do not offer overnight or expedited shipping. The Caribbean meets the South in our newest product. Peach off the palate followed by the distinctive bite of the Scotch Bonnet and a hint of allspice. This hot sauce is great on chicken, fish, veggies, and with jerk seasonings. This unique hot sauce is made from our farm grown figs and Carolina Reaper peppers. Chili sauce is a condiment prepared with chili peppers and red tomatoes as primary ingredients. 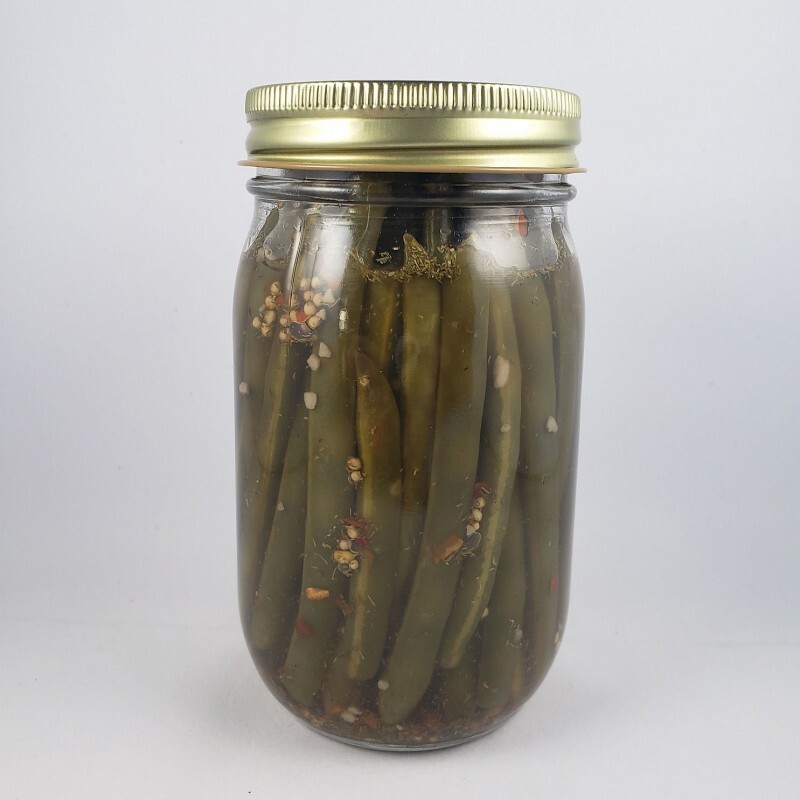 Our hot version of our pickled green beans. 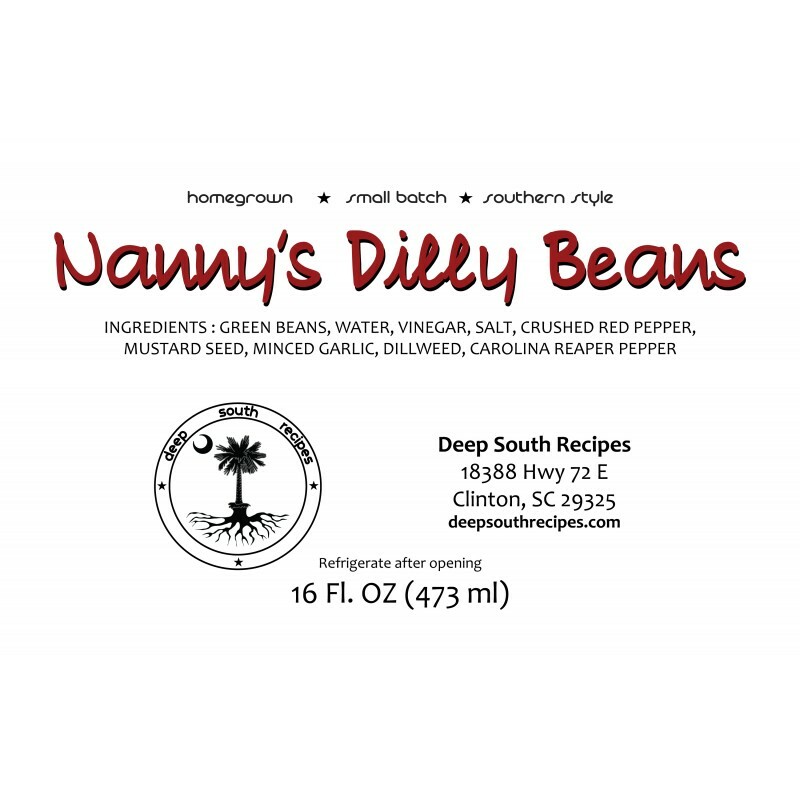 Nanny’s Dilly Beans are crispy, crunchy and spiced with Carolina Reaper peppers. 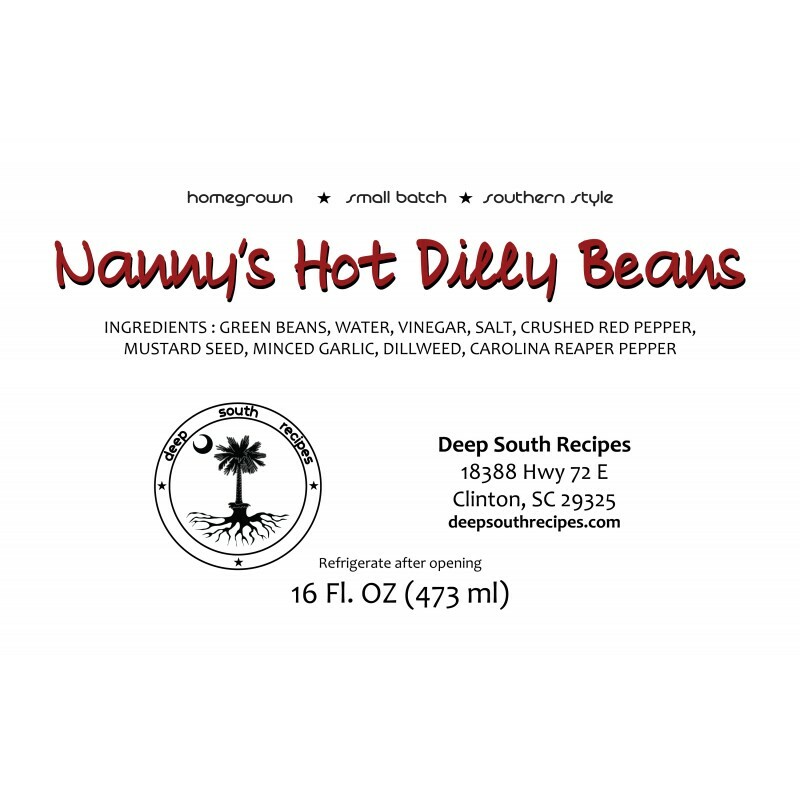 Our pickled green beans, or Dilly Beans, are a crispy, crunchy treat that come from Nanny’s recipe.